Whether they are hand or parent-reared, young Canaries usually need some encouragement to switch from the nestling to adult diet. This change-over period can be quite stressful, but there are a number of steps you can take to ease the transition. Pet Canaries feed their chicks largely upon sprouts, soaked seeds and Egg Food or hard boiled eggs. Once the young fledge, which usually occurs at age 16-20 days, they will be fed by their parents for an additional 2 -3 weeks. During this time, they will also begin to pick at food and eventually learn to eat on their own. Fledglings benefit from watching their parents and siblings…chicks that are hand-reared are at a disadvantage in this respect, but will also respond to the ideas and foods mentioned below. Bird clubs and associations regularly sponsor shows in which parrots, finches and others can compete for prizes based on appearance, color and even “breed standards”. 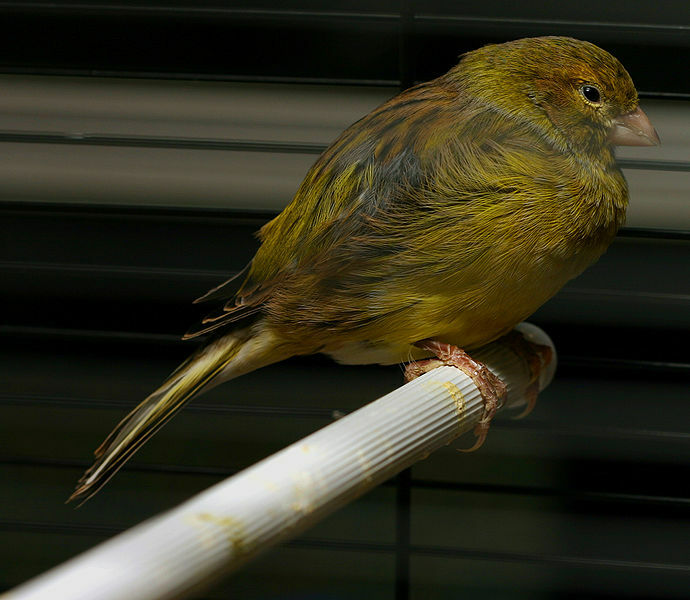 Less common, but very popular among canary enthusiasts, are singing competitions. But just how does one judge something as “natural” as a bird’s song? Today we’ll look at the surprising array of criteria used to rate the songs of the ever-popular American Singer Canary. If you are looking to add a new aspect to your hobby, singing competitions might be the way to go (your own efforts will not be appreciated, so please leave the singing to your Canary! ).